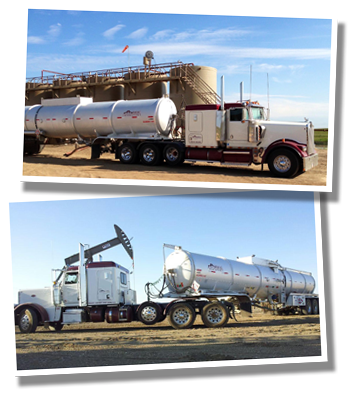 AARMAC Transport is the most dependable and responsive transportation provider in the oilfields of North Dakota, Montana, Colorado, and Wyoming. We transport crude oil, flowback, production water, freshwater and flatbed. Our safety program surpasses the standards of our customers and is monitored through PICS and ISNetworld, along with our own in-field electronic auditing system.